For years we have stepped on, smacked with newspapers, and chased the insects and arachnids from our homes with a bit of toxic spray. The reality is that plenty of insects and spiders are fantastic for our property. There are some that you are still going to want to chase away, but today we want to explain which ones you should be concerned about and which ones are your best friends. There is nothing worse than finding a mouse or rat in your home or out in your garden. This is a pest you certainly want to get rid of. They tear up gardens, ruin the interior of your home, and carry plenty of diseases you do not want to contract. Finding pest control services in San Diego, or whichever city you are in, is as simple as a quick Google search or recommendations from friends and family. While there are plenty of traps and DIY options, we recommend pest control services because they can figure out why they are coming to your home and come up with concrete plans for longer-term solutions. Bees of all kinds are extremely beneficial to our ecosystem. They assist in pollination and the production of honey. Without bees, we would see a major loss in greenery, gardens, and farmland. 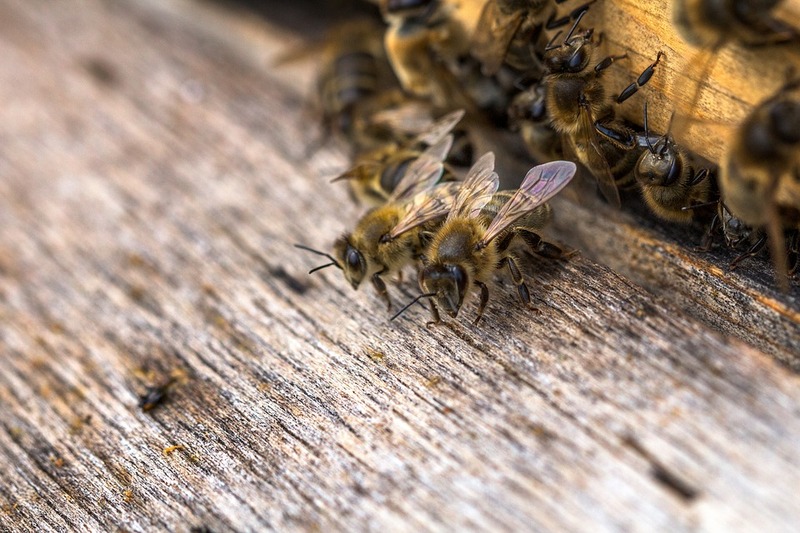 If you are deathly allergic to bees, you should certainly make your property safe for you. If you aren’t, please consider building something to attract bees to your home and allow nature to take its course. We aren’t talking about beekeeping per se but rather a simple bee hotel to attract them and let them do their thing. If that works out and you have the urge to get into beekeeping, look for a local group to get access to resources to help you learn and be successful. We need all the beekeepers we can find! Yes, we know you do not like the Yellowjacket. When they sting, it hurts way worse than a bee sting. If you are deathly allergic, yes you should protect your property. If you are not, we highly encourage you to invite them near your garden. Of course, you don’t want them in your house if you can help it. If they start building nests on the home, call a pest control specialist to help you have it removed and attract them to other areas of the property. Why are these insects so important for a garden? They feed your young with liquified spiders and insects that can destroy your crop. Spiders in your home should be welcomed rather than squished. Sounds odd, doesn’t it? Spiders eat a lot of indoor pests that they trap in their webs. While you may not be a big fan of the big cobweb in the corner, you can say thank you for eating all the flies. Or you can gently move them outside and let them eat the mosquitos that try to invade your space. We aren’t talking about the poisonous ones! Black snakes and garter snakes are ones you want around your property and gardens. Why? They take care of eating rats, mice, gophers, toads, salamanders, and leeches. Those are all pests that can destroy your garden in a heartbeat. A black snake is a far better and more inexpensive option than using pesticides on your land. You can keep an organic garden and use natural fertilizers while maintaining property that is mice and gopher free. Are you surprised by these suggestions? As progressive human beings, we have lost our close connection to the Earth and how it functions well. We have labeled all pests as not beneficial and we should be rid of them. Rather than getting rid of them, do some quick research to see how you can live with a pest and make it work for you. The Benefits Of Franchising In The Current Economy!